So it's time to bathe a Shih Tzu and you're wondering if one method works better than others. Maybe you have that calm Tzu that loves bath time. You know the one that patiently stands in the tub while you drench him in water and suds, never shakes, never squirms, never jumps or climbs out of the tub. 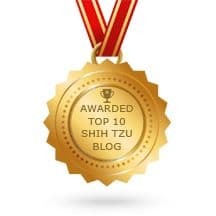 If this is your Tzu, then you are probably wondering why anyone would need an article teaching them how to bathe a Shih Tzu. But for the rest of us, the task can conjure up images in our minds ranging from mild anxiety to down right dread at the thought having to bathe our Tzu. If you fall into this category, relax, there is hope. Even the most stubborn Shih Tzu can be bathed successfully while you hold onto your sanity. I have personally had all kinds of Shih Tzu dogs, from the most docile that tolerated everything to the one that I needed a raincoat just to spray on a little water. I have learned that when you bathe a Shih Tzu who does not like baths, your goal should be to bond and create a calm environment. If he gets clean, well, so much the better. With a patient approach, he might not be squeaky clean, but the next bath will be easier. Lather with a good shampoo. Face, body, legs, tail, etc. Sounds easy doesn't it? But what if you have a Tzu who hates to have a bath, be brushed, or groomed. What if he squirms, tries to bolt, or gets down right aggressive with your attempts to bathe him. What can you do? My Shih Tzu Bolts/Squirms/Tries to Jump or otherwise remove himself from you and the water source. How am I supposed to bathe a Shih Tzu like this? Some Shih Tzu dogs just hate being groomed. They are normally happy pets, but become stressed the second they know that you are contemplating a grooming session. Here are a few suggestions. Not all will work on your Tzu, but they are worth a try. Do not remove his collar or harness. Use it as a way to control him in the tub. Place one hand on his collar and the other on shampoo. Never let go of your dog in the tub. The best way to hold the dog is by grabbing the dog from the side under his chest and gripping his front two paws. If you can do this with one hand, you will have the other to shampoo, rinse and condition. Most dogs will relax if you massage the shampoo into their hair on their back, chest, tail, neck, ears, and any other place on their body that they particularly enjoy being patted. Get help from a friend/significant other. Have the person stand by your side with a treat as you bathe the dog. When the dog is calm, have your friend give the treat. Play calming music while you bathe a Shih Tzu dog. Use Bach's Rescue Remedy just prior to attempting the bath. Use a Shampoo infused with a lavender scent to calm your dog (alternately, burn a lavender scented candle or use a room diffuser with a lavender scent. Lavender is calming to dogs. Experiment with water temperatures. Some dogs prefer warmer waters. If your dog relaxes slightly with warmer water temperature, take the hint and bathe him in a warmer bath. Use a shampoo with a calming scent such as lavender or eucalyptus. Use a tranquilizer prescribed by your vet as a last resort. If you have a Shih Tzu who becomes aggressive during bath time, first we must determine what is causing his anxiety. If he is normally a happy dog but hates to be groomed, it is likely that he has had a bad experience in his past. He has since associated being groomed with pain or worse and refuses to cooperate. You will need to move slowly around a fearful dog. Do not do anything likely to provoke him. The bath is likely to take longer than the average. If he will take treats, use these as a reward for good behavior, even if it is only a brief period of time that he is cooperating. Use the methods outlined above to provide a calming environment. Use relaxing massage when applying shampoo if he will tolerate. Use cupfuls of water instead of streaming water from the facet. People are always asking me what to purchase and if I have any recommendations for specific grooming tools. I thought I'd take this opportunity to answer those questions. The products I list below can be purchased from Amazon and I either currently use them or have used them in the past. Most are adequate for my needs, but please remember that each Shih Tzu is different, and what works for some may not work for you. 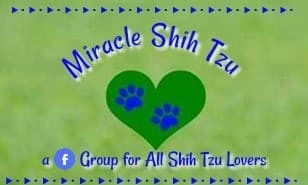 If you do purchase from this site, Miracle Shih Tzu gets a very small commission that helps cover the costs of keeping this website up and running. Your business is most appreciated. Shampoos and Conditions are really a MUST HAVE item for your Shih Tzu Grooming Supplies Kit. These dogs will not look good for very long without a regular bath. There is so many different products today to bathe a Shih Tzu, it can be confusing. 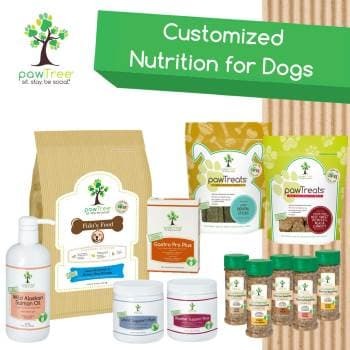 If the dog does not have any immediate problems such as fleas or dry itchy skin, the choice of products is really a matter of personal preference. There are color enhancing shampoos, whitening for light colored dogs and darkening for dark haired dogs. 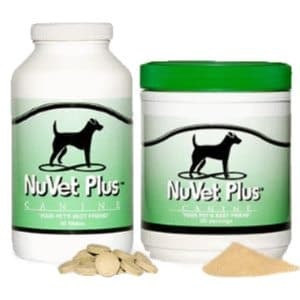 There is hypoallergenic shampoos for dogs with allergies and sensitive skin. There are flea and tick shampoos that will kill fleas and ticks and repel them for a certain period of time in the future. Other shampoos are formulated to deal with other external parasites such as mites. There are shampoos with build in conditioners and those especially designed for puppies. Medicated shampoos cover a wide range of skin conditions such as seborhea, and anti-itch shampoos reduce scratching. Puppy Shampoos are mild and work well around the face and eyes. Deodorizing Shampoos which are great if your dog encounters a skunk. Deshedding Shampoos are usually not used on Shih Tzu Dogs. Then, there is your everyday all purpose shampoo that comes in a wide assortment of fragrances and ingredients such as aloe vera, shampoo, tea tree oil and many more. Shih Tzu dogs should be bathed with a good dog shampoo followed by a conditioning rinse for best hair results. Most people agree that spraying the coat with a fine mist conditioner prior to brushing is a must. Dry hair tends to break. So the rule of thumb is, never brush a dry coat. The conditioner also aids in removing tangles. They are usually slightly scented making your dog smell nice after her brushing. Shih Tzu hair doesn’t look great if you let it dry naturally so I keep a hair dryer handy in my Shih Tzu's Grooming Toolbox. If you want that smooth straight look or even just a fluffier appearance you will need to blow dry after you bathe your Shih Tzu. Always use a low or cool setting as these dogs can get burned easily. So, if you purchased a puppy from me, his or her first experience was with a Andis 60070 Comfort Dry Ionic/Ceramic Pet Dryer . I particularly like the lower setting for very young puppies because the last thing you want to do is scare them. Grooming is new to them and they are stressed as it is, so the quiet low setting might take longer, but it is well worth it. There is really no end to the number of products you can purchase to groom your dog. Here are a few more things that are helpful for completing many of the grooming tasks presented on this site. Read over them and decide what's most important to you. A small bath mat placed inside the sink will give your Shih Tzu more security. Most sinks are slippery and if your dog begins to slide around, he is not going to like the experience. You can purchase an inexpensive rubber mat used for bath tubs and cut it to size or line the sink with a thick towel. These come in handy for many small jobs such as cleaning around the eyes and ears and for stuffing in the ears when you bathe a Shih Tzu. If your dog is prone to ear infections, a small wad of cotton in each ear will protect them from being sprayed with water. Cotton Tipped Applicators or Q-tips for carefully cleaning ears. Wash cloths or wipes for washing the face, cleaning foot pads and removing debris from around the eyes. You will also need towels for drying, but don't rub the hair--just squeeze out all the excess water before you blow dry.